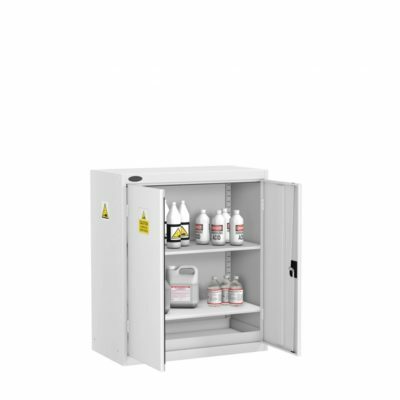 Our Acid and Alkaline Cabinets comply with HS51 Guidelines and come pre-labelled with “Caution Corrosive Substances”. 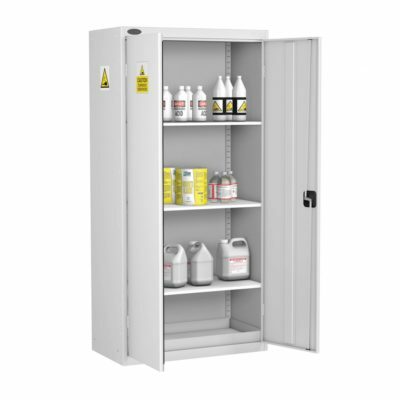 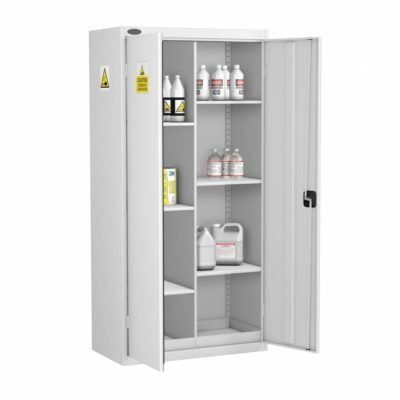 These chemical cabinets have a shelf loading of 85kg’s and are UK manufactured. 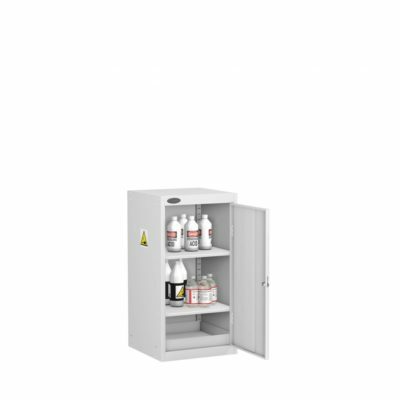 Cabinets come in a light grey colour.